By now everyone out there should know that on Saturday, KUVO Jazz travels to the Balestreri Vineyards for its annual signature fundraising event with music this time around from the highly acclaimed Spanish Harlem Orchestra. The combination of food, drink and music at the event is something you definitely want to consider (kuvo.org or 303-620-5794). And no matter how much you eat and drink, the Grammy®-winning, 13-piece Latin Jazz/Salsa band will still be able to get you on your feet. Of course, speaking of getting you On Your Feet, the musical by that title about Emilio and Gloria Estefan’s journey from Cuba to the Miami Sound Machine is at the Buell Theater in the Denver Performing Arts Complex. The touring company of the play will get you on your feet through August 19. While certainly not a classic musical, the play, especially the first act, moves quickly with a good sense of humor and a terrific ethnic grandmother figure (303-893-4100). But even with its slow spots, your feet won’t fail you here. Interestingly enough, the show’s music director, keyboardist and co-author of the song “On Your Feet” is Clay Ostwald a native of Boulder who studied jazz at the University of Miami. Along with Jorge Casas, Ostwaid has been a core element of the Miami Sound Machine since 1986. The Spanish Harlem Orchestra was in Denver last December as part of the Newman Center’s program that featured a strong jazz lineup in 2017-2018. During this past season the Newman Center at University of Denver offered singers Gregory Porter and Tierney Sutton, percussionist Pedrito Martínez, drummer Antonio Sánchez and trumpeter Terence Blanchard. The 2018-2019 jazz season at the Newman Center is also an enormously strong one with: the Pat Metheny Quartet (with Sánchez on drums on Oct. 17); the Turtle Island Quartet with pianist guest pianist Cyrus Chestnut (Nov. 16); singer Dianne Reeves (Dec. 6); trombonist Delfeayo Marsalis and the Uptown Jazz Orchestra (Feb. 26); and pianist Vijay Iyer (who was named artist of the year and his sextet group of the year in the 2018 DownBeat “Jazz Critics Poll” (May 9). You can contact the Newman Center Box Office at 303-871-7720. Over at Dazzle, 1512 Curtis, the week finds clarinetist/saxophonist Ken Peplowski joining bassist/singer Nicki Parrott doing a tribute to Peggy Lee with a quartet that has Eric Gunnison on piano and Paul Romaine on drums on Saturday. 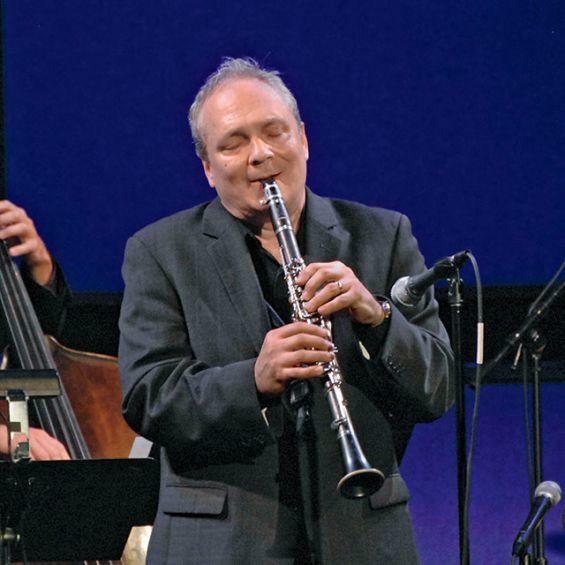 When it comes to clarinetists in jazz, the Cleveland-born Peplowski is among the top tier. As for Parrott, the Australian-born player has certainly made a name for herself on this side of the Pacific for both her bass work and her singing. The sets are at 6:30 and 8 p.m. (303-893-5100). Parrott with her multimedia tribute to Lee is also at Vail Square on Thursday at 6 p.m. (vailjazz.org) and at the Jazz Aspen Snowmass’ JAS Café in the Aspen Art Museum on Friday at 7 (sold out) and 9:15 p.m. (jazzaspensnowmass.org). Trumpeter Bob Montgomery, who has spent a good deal of time touring Australia, is at Dazzle on Sunday with his sextet at 7 and 8:30 p.m. and bassist Ken Walker’s sextet is at the club on Curtis on Friday at 6:30 and 8 p.m. On some different notes, Dazzle has Bad Blood Blues sounds from Alabama-born singer/guitarist Brett “Bad Boy” Benton at 6 and 8:30 p.m. on Thursday and Brazilian guitarist Alessandro Penezzi with clarinetist Dexter Payne on Wednesday at 6:30 and 8 p.m.
Also at the JAS Café at the Aspen Art Museum this week, you can find singer Allan Harris and company on stage on Saturday at 7 and 9:15 p.m. and the Bronx Horns paying tribute to Dizzy at 100 also at 7 and 9:15 p.m.
Back in Denver, bassist Victor Wooten has his trio at Cervantes/the Other Side, 2637 Welton, on Saturday at 9 p.m. (303-297-1772). Wooten who gained considerable recognition with Béla Fleck is on stage with drummer Dennis Chambers and saxophonist Bob Franceschini. The bassist’s current CD is Trypnotyx. Also keep in mind, that while Nocturne, 1330 27th St., focuses on extended outings by area-based players, it occasionally brings in touring artists. One of those occasions is August 29, when drummer Jeff Hamilton lands his trio on stage starting at 7 p.m.